Ok yeah I have that other story going but I decided to do a one club save. I have picked Paris FC because they are a team that I have enjoyed playing as for the past several Football Manager games and I love the challenge with a certain club in the city. Well Paris FC is perfect because after the 2015/16 Ligue 2 season they were relegated. I feel this is the perfect time to do a PFC save. Kevin is back, legend. Can't wait to see you destroy PSG. 2017-03-15 17:14#240521 ScottT : Kevin is back, legend. Can't wait to see you destroy PSG. 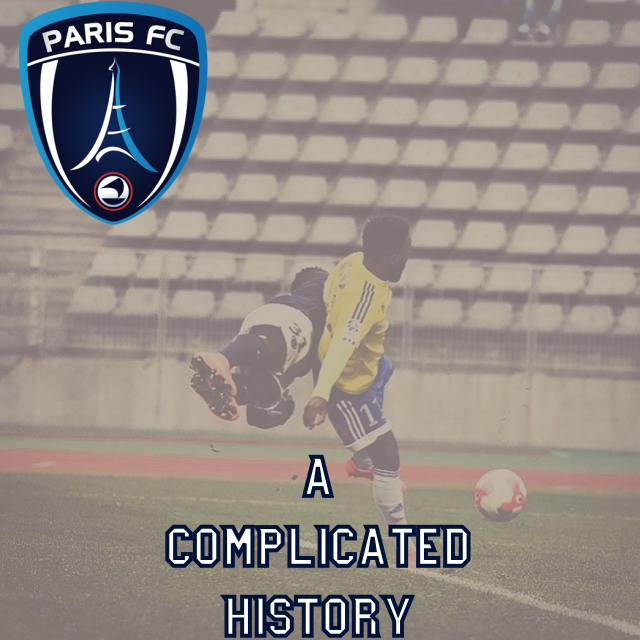 Paris FC have a very interesting history and that is one reason why I am them here on FM 17. One thing is that since discovering them back in FM13 I have done saves with them with one goal, overtake PSG. You might think it is just for city and proper football bragging rights but that is just a small part of it. Thanks to Wikipedia you will understand why I want to destroy PSG and everything it stands for. Paris FC was founded in 1969 and later merged with Stade Saint-Germain to form Paris Saint-Germain. The current Paris FC exists as a result of the club splitting from Paris Saint-Germain. 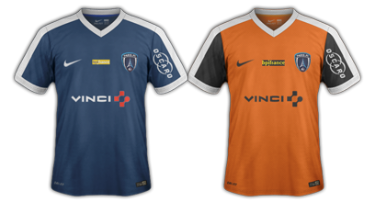 Unlike its counterpart, which has gone on to establish a solid foundation, Paris FC has struggled to establish itself, having spent the majority of its existence playing in the amateur divisions. The club's highest honour to date was winning its group in the Championnat de France amateur in 2006. Paris FC last played in Ligue 1 in the 1978–79 season. In an effort to re-launch professional football in the city of Paris, Paris Football Club was founded on 1 August 1969. The objective of the club was to be playing in the first division by 1970. An attempted merger with CS Sedan Ardennes was refused so Paris went looking in the second division and, subsequently, merged with Stade Saint-Germain to form Paris Saint-Germain, the professional club that currently plays in Ligue 1 today. The current incarnation of Paris FC came into being in 1972 when the club split from Paris Saint-Germain after coming under pressure from the capital city's mayor, who refused to support a non-Parisian club (the club had originally been situated in nearby Saint-Germain-en-Laye). As a result, a bitter split occurred and both Paris FC and Paris Saint-Germain remained as separate football club with the main agreement being that Paris FC had the right to keep the splitting entity's first division and professional status, as well as all the professional players. Paris Saint-Germain were, on the other hand, administratively relegated to the third division and given all the former entity's amateur players. At the beginning of the 1972–73 season, Paris were playing in the first division hosting matches at the Parc des Princes. Two seasons later, the club was relegated to the second division, which coincided with Paris Saint-Germain's rise to top-flight and the acquisition of the Parc des Princes. After four years of playing in Division 2, Paris returned to the first division for the 1978–79 season. However, the season was a difficult one and resulted in the club falling back to Division 2 after one season. Paris FC have since yet to return to the top-flight league of France. In 1983, Paris FC, then led by the industrialist Jean-Luc Lagardère, merged with Racing Club de France. While Racing remained in the first division, the remaining entity that was PFC was administratively relegated to the fourth division. Due to having limited resources, Paris fell to the Division d'Honneur after one season and, subsequently, spent four seasons in the fifth division before returning to Division 4 in 1988. Another promotion the following season saw Paris earn a place in Division 3. Paris remained in the division for 12 years becoming inaugural members of the Championnat National in the process. In 2000, the club finished 17th and were relegated to the Championnat de France amateur. Paris spent six years in the league before returning to National for the 2006–07 season. After a successful 2014–15 campaign, the club gained promotion to Ligue 2, the French second division, alongside its local rival Red Star F.C. However, it would stay in Ligue 2 for only one year and was relegated back to the Championnat National for the 2016-2017 season. I hope you now understand why my mission here is to overtake PSG in everything. This will take a lot of time and will be frustrating but I know it will be worth it once I finally do. Paris Football Club have announced the departure of manager Jean-Luc Vasseur effective today at noon. The forty-seven year old Vasseur departs the club months after joining in November of 2015. This marks the second coaching change in a year for the recently relegated Ligue 2 club. Without giving details, PFC said talks led to an agreement, signed Monday, that "preserves the interests" of both Vasseur and the club. With this departure, most of the coaching staff will follow with a few exceptions. It is not known who will be staying behind between now and the new coaching staff. Club Spokeswoman Marie Gourcoff reported that Vasseur will not receive any payment for the rest of his contract that had ran until 31 December 2016. The reason for this is that finances are tight with Le PFC and that he had not completed certain goals that would allow this to happen. Vasseur took over the struggling Paris FC when Christophe Taine was fired in November. The club continued to struggle for the rest of the 2015/16 Ligue 2 season. PFC finished dead last with only 30 points in the season. With a return to the Championnat National the club is looking for someone to bring them back up to the professional leagues. When the club won promotion at the end of the 2014/15 season, the board made survival a priority. But PFC has failed to get beyond the twentieth spot in the Ligue 2 Table. This was disappointing for the club as fellow rival Red Star who joined them in promotion could stay in the league for the upcoming season. At this point in time there are no major names that the PFC board are considering to replace Vasseur but whoever takes over will have a lot on their hands for the upcoming season. The club is set to make their decision within the next two to three weeks. Great update - paving the way for Kevin to come in and tear it up now. Want to say thanks to JACK for the amazing banner I added to the top two post!! 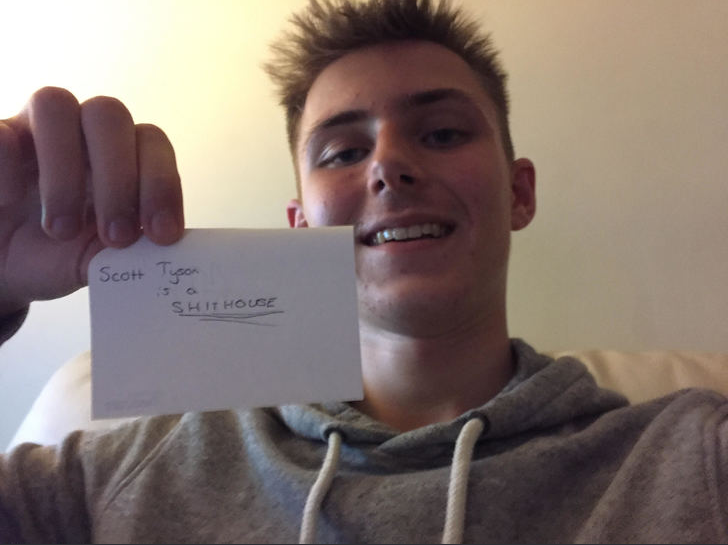 Club President Pierre Ferracci is proud to announce that his search for the clubs 27th manager has finally come to a close. Last night around 22:00 CET he announced on his twitter that 34 year old Kévin Gauthier has been appointed to lead the club forward. For the 34 year old native of Le Havre, Gauthier makes his return to the mainland to coach. Before accepting the post with Paris FC he spent the last season and a half with AS Mont-Dore of the Championnat de Nouvelle-Calédonie. His only major trophy came in the form of a league championship in 2015. Previously Gauthier contributed to the game both as a player and coach. The former player was a member of several clubs including; Le Havre (2000-2005), Bordeaux (2004-2006), Falkirk (2007-2009). After his playing career he became a scout for Falkirk and after returned to Le Havre as a coach. "I am very excited to return home to France and be able to coach a club like Paris FC, I am excited to meet the players and fans soon," said Gauthier on his Instagram account when he broke the news about the job. Gauthier now has two weeks to prepare before players report for the 2016/17 training camp. A press conference to welcome him will occur one week from today and all are welcome to attend. Great posts! Keep them coming! 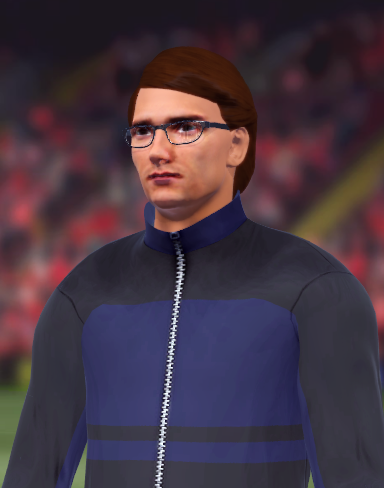 After a few days of settling in back to France it was time for me to be introduced officially as the 27th manager of PFC. I am very excited for this opportunity and I am ready for whatever question comes my way. What is really cool is the club has decided to host it at the stadium on the pitch as the weather is amazing. Well here we go. 15:12 PM CET: A few minutes late but no big deal as Pierre Ferracci is addressing everyone welcoming them to the press conference. "Welcome everybody. We are pleased to today announce our new manager. We believe he has the ability to guide the club in our new era and he has the eventual aim to return us to the Ligue de Football Professionnel (LFP). He may not be name you have heard of. He is a journeyman. Nonetheless, he has worked in backroom positions and won a league title and we now are confident that he has the skills to become a great manager and lead this club into a new era. Kévin if you are ready please come out of the tunnel...."
I hear my name and get a thumbs up from one of the front office interns. As I am walking out a huge smile is on my face and as I walk to the area I am waving to the hundred or so fans and journalist attending. As I walk down the main isle I decide to shake hands with people. Finally I see Pierre and shake his hand. The press conference is to officially begin. Pierre gives Director Patrick Trotingon a chance to address everyone. "Well feel that he (Kévin) is the prefect fit with this club. During his time with AS Mont-Dore of New Caledonia he was able to transform the club into a powerhouse and had almost won the OFC Champions League. He has previously worked behind the scenes in French Football at Le Havre and now we have given him the opportunity to take the managerial reigns. Kévin if you would like to say a few words." "I want to thank Pierre, Patrick and the rest of the PFC board a chance at this club. The past few years for me have been life changing and I know being here today is special for the club. During the last year and a half I have quickly climbed the coaching ladder and fell blessed to be back home. We have a good squad here. There are good youngsters who can become legends here. While, I feel we have a good mix of experience to help and nurture the younger players. I am relishing the challenge of taking this club up the leagues and can’t wait to get started. I know this club has had their ups and downs the last few year but I am winning to change that and hopefully we can return to Ligue 1." Head of media operations Paul Parker takes a microphone,"We are ready to begin questions if you are Kévin?" I give Paul a nod and the questions start coming at me. "Kévin, please tell us about what your feelings for leaving a very successful club that you lead in AS Mont-Dore for a very challenging job here in Paris? Do you feel any remorse for leaving New Caledonia?" "It was a pretty hard decision to leave what I had built back in New Caledonia but it was getting to a point where I was ready to move on. It was a great time there and I want to thank Ricardo (Kombouare) for taking a chance on me back in 2015. I am ready for the challenge of Paris FC and will do my best to get this club back on its feet. "Digging through your social media I noticed during last season you had a lot of praise and support for this club, can you elaborate on it??" " I am and will always be a Le Havre boy but seeing Paris promoted into Ligue 2 was something special because I was rooting for them to stay up and hopefully challenge dirty PSG someday. You ask if this is fate or not?? I would say maybe yes and maybe no. PFC just has a very interesting history and its something people should latch onto because they are a well rain professional organization." "What are your long-term plans and short-term plans for PFC, if any?" 'This will sound very ambitious but I want to get this club back into Ligue 2 this season, from what I have studied we have what it takes to make a return after this season. I am then looking to get us to a point where we can survive within the LFP for years to come." "A little bit too ambitious, don't you think?" "Not at all my friend, if you look at my resume especially from my time in New Caledonia I know what I am doing and I feel with the right players and environment we can come our of the shadow that is Paris Saint-Germain. From what I have noticed about the club was not the players or ownership, but the coaching staff. I am looking to change that here." "What is your opinion on Paris Saint-Germain and Red Star?" " To be honest I have no opinion on Red Star as I have never had a chance to deal with them but on PSG it is a whole other feeling. I really can't stand that club and I hate how they win real cheap. Seriously can they please play more French guys??? Look I want us to be the Anti-PSG even more so. They screwed this club and many others in this country and that needs to stop. I want Paris FC to become the true club of the capital." "Do you have any transfer targets in mind?" " Yes, well reviewing the squad I noticed we need some depth in the defense and midfield. Our attack is pretty good but I feel one playmaker could make or break this team." "Could you please talk about your play style, what is the tactic you use?" "Sure, well I have a few tactics that I like to employ that are about heavy attacking and counter attacking, it all depends on the situation but during play things can change on a fly. These tactics have helped give my clubs tons of goals and really good defensive records, Paris will flourish under the system. Especially when I use a 4-3-3 because it has the feel of the Carlo Real Madrid era." "Will you be concentrating solely on the Championnat National, or will you be focusing more on the cup competitions, like the Coupe de la Ligue and the Coupe de France?" "Well the league is priority number one, followed by the Coupe de la Ligue as we are still able to be apart of it and finally the Coupe de France is the minor important cup this year." With me answering a few more things it is about 16:00 and Pierre now makes an announcement; "Thank you all for coming today and I am happy that you all meet with our new manager. After the press conference Kévin and I are open for additional questions." Ooo heavy talk about PSG, but I like that. Anti-PSG fan club being formed. 2017-03-17 18:34#240595 ScottT : Ooo heavy talk about PSG, but I like that. Anti-PSG fan club being formed. Want to be the president of the club? Finally I get a chance to meet with the rest of the squad as everyone has officially reported to camp today. Lucky for me there are no hold outs of visa issues and everyone is here. As dumb as this sounds I felt like a kid on Christmas morning because I am so excited. It is around 9:30 am and I am about to introduce myself to the players. "Good morning everyone, for those who don't know and I haven't had a chance to meet my name is Kévin Gauthier and I am pleased to be your new head coach. I see that the majority of you are new as well and I feel that is a good thing. We have a chance to do something special here and I know you guys are up for the challenge. Anyone have anything to say?" "Oui coach, my name is Thomas Martin and I want to welcome you to the club, just like you I am new here and I feel that if we all work hard we can get this club back into Ligue 2." Despite the fact Thomas is new and hasn't really meet anyone else many of the players nod in agreement and club legend Vincent Demarconnay speaks up. "Coach welcome to the club but I have been here long enough to not get attached to any manager as it seems the front office has hired idiots in the past. What can you say to convince me things are different." "Vincent I know we talked about this a bit when i meet you on my first day but I want to tell you as well as the rest my plan. I feel that this club can have a chance at the big time. Before here I lead a nothing team from New Caledonia to the OFC Champions League final. If I can do that there I know we can go places here. It will be a tough journey to get promoted so I know we can do it!! So I believe that with hard work we will get promoted at the end of the season. What do you all think?" The room is very positive and the players agree with that statement. One player Anthony Ribelin who is on loan from Rennes speaks up and says; "I think you are right coach, I was a bit unsure joining Paris FC but as of now I am happy." I go over more boring procedures and we then discuss the tactic system. After that we split up into groups for an icebreaker. I want everyone to be on the same page by the time the season begins. With that I let the guys know that in two days we will have our first scrimmage and for the first day and a half it will be all about conditioning and fitness. With that I dismiss the guys to go for their fitness test. A few minutes later I meet with the staff and we continued our discussions from the last few days. They seem like a good bunch to work with and nobody has really any issues at the moment. The biggest concern to a few is that things might not work out because of how things have been the last few years. One of the coaches he felt the promotion to Ligue 2 was by luck and knew they would drop. A few hours pass and everything is good. I am meeting with more of the guys and I am even more excited than this morning. This is going to be a great time in the capital!!! You are reading "Paris FC: Une Ambition Capitale".